“Ancora imparo” is an Italian phrase meaning “Yet, I am learning.” It is often attributed to the great Renaissance genius, Michelangelo, supposedly observed by him at the age of 87. However, there are some doubts that he is the source, and the attribution is just as often disputed by scholars. We won’t quibble about the origin of the saying (although if allowed, we’re sticking with the Michelangelo theory) because no matter what the source, it’s true! 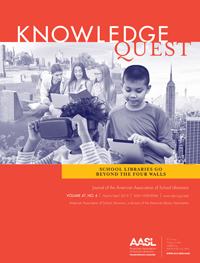 As we wrap up the observance of School Library Month and reflect on its overarching theme “Because School Libraries Empower Students,” we realized that the week four sub-theme “Reading and Life-long Learning” has meaning and significance beyond the work we all do to ensure that students are learning for life. 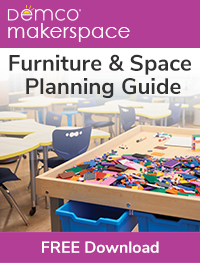 As school librarians, we must also take time to focus on our learning to ensure that we continually update and refine our skills and knowledge base in order to bring the benefits of research and best practice to the communities we serve. In this sense, professional development and involvement is at the core of our own empowerment. For, to stop learning, no matter what your age, is to succumb to a drab existence, and as Tennyson noted in his poem Ulysses, “How dull it is to rust unburnished, not to shine in use.” The point is, that no matter where you are on your professional pathway, learning never ends and the learners we serve need us to shine! One of the most important opportunities (dare we say obligations?) for a school librarian to participate in professional development is through membership in a professional association. 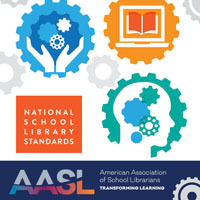 AASL, and its affiliates, offer the networking, publications, programming, webinars, online courses, social media, and conference experiences to ensure that you stay ahead of the learning curve in an ever-changing environment. And if that is not enough, consider the leadership training and collegial support in times of crises such as when threatened with a job loss or an intellectual freedom challenge, as well as the development, implementation, and alignment of our national standards with those of other professional associations. These are all powerful tools and strategies to help inform and improve your practice and among the many benefits that you reap by belonging to a forward-thinking group. As a member of AASL, you are aware of all of the above. What you may understand less about are the challenges faced by our professional association to help you, and your successors, to remain informed, aware of, and ahead of the trends, as well as knowledgeable about the challenges in the profession and how to meet them. During our 65th Anniversary celebration, we are not only celebrating the past, but we are planning for the next 65 years, so once more we ask you, if you have not done so already, please consider making a donation to the campaign to help us to support our future leaders – It’s in Our Hands: Celebrate the Past, Transform the Future! Actually, it means “I am still learning”!